The Best Tips and Strategies for the World's Hottest Game! The international phenomenon Pokémon GO has already changed the way people interact with their world, and the game is evolving just as fast as the Pokémon themselves! 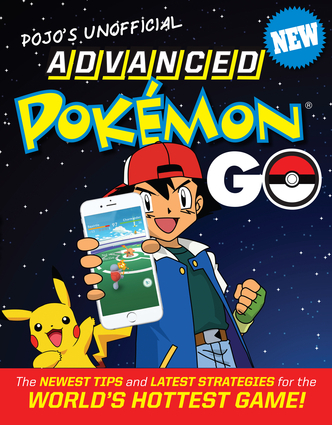 It’s time to level up, load up your Pokédex, and become a gym master with Pojo’s Unofficial Advanced Pokémon Go, the fully up to date game guide featuring tricks, strategies, and dozens of instructive full-color screenshots. Pojo’s Unofficial Advanced Pokémon Go is also your go-to reference on attacks, rankings, nests, tracking, rare Pokémon sightings, and more—even the new Pokémon GO Plus device. It’s the perfect book for any player, whether you’re Level 5 or 25, whether you’re Team Mystic or Team Instinct. Achieve master trainer status, and GO catch ’em all!